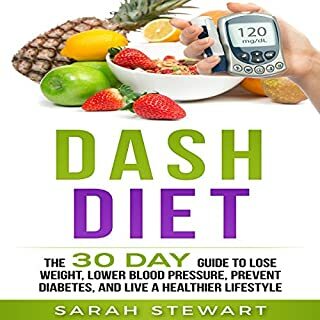 Where does Dash Diet rank among all the audiobooks you’ve listened to so far? One of the better diet books i've heard. I love the 30 day plan because it keeps your disciplined and accountable. What was one of the most memorable moments of Dash Diet? It doesn't have to be pain and strenuous to lose weight. The plan outlined does a good job in incorporating days where you can eat food you like. But the most important part is making sure you're back to dieting after your period of reward. Are you ready to lose weight fast and build muscle quickly so you can have that shredded body you've always dreamed of? The ketogenic diet is a super beneficial and healthy diet for your body! When you go on a low carb diet and eat mostly fats and proteins, your body will go into ketosis, which is a fancy word for burning fat, which is what we want here! 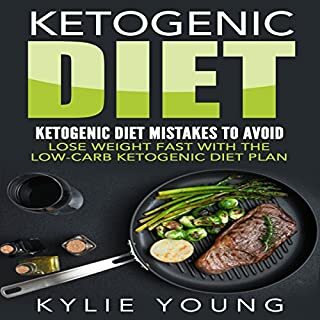 No need to absolutely starve yourself, because with the ketogenic diet, you are regulating the energy in your body, which means no more crashes or starving between meals. If you could sum up Ketogenic Diet: Ketogenic Diet Mistakes to Avoid in three words, what would they be? The ketogenic diet is not a fad. This one actually works and I've seen my friends lose weight going thru the ketogenic diet. If you don't know what it is, you eat low carbs, high protein, and fats that will trigger your body to go thru ketosis. By doing that your body will actually burn off more fat and help you get a slimmer waist! Who doesn't love a good home cooked meal? I know I do! The only problem is finding the time to make the types of meals I like to eat. That my friends won't be an issue any longer. The Instant Pot has revolutionized cooking for my family and I. No longer does cooking a good meal take hours on end. Now it can be done in just a fraction of the time. 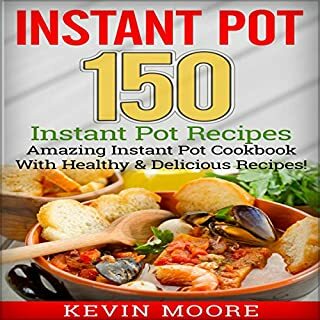 What made the experience of listening to Instant Pot the most enjoyable? The recipes involved are all healthy which I like. Nothing about fried foods or anything with a ton of fats and oils. Good recipe book! There's more than 150+ recipes in here. If you have a slow pot cooker you can pretty much make breakfast lunch and dinner meals on the fly! Very beneficial if you're in rush like me and I love how healthy and easy some of these meals are to make. One of the things caught me off guard is the fact there are recipes for desserts and and snacks! I didn't think a pot cooker can do that but behold the power of technology! 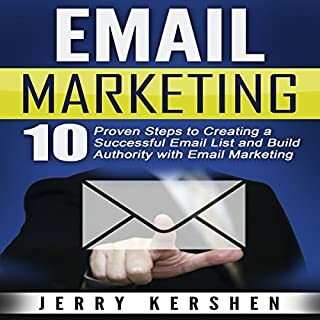 Would you listen to Email Marketing again? Why? Absolutely. With all the different softwares out there and how to properly build a list, I highly recommend using this as a guide to build your list the right way. All the best businesses out there use an email list. If you haven't already then you're completely missing out. I highly advise on getting this book! If you're reading this, chances are that you are considering moving into, or building, a tiny house of your very own. There are numerous benefits, both short term and long, that you will come to realize after adopting the "tiny house living" lifestyle. If you want a simpler life, with less clutter, and more time to enjoy the more important things in life, then I think it's pretty safe to say that you have found the right book. If you could sum up Tiny Houses: Build and Design Your Tiny House on a Budget in three words, what would they be? 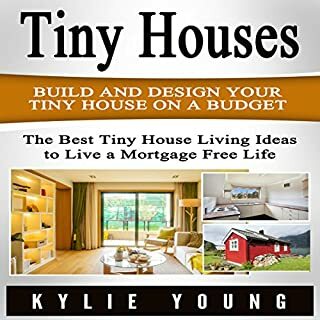 What insight do you think you’ll apply from Tiny Houses: Build and Design Your Tiny House on a Budget? Land surveying is one of the more hidden aspects of getting a tiny house. I think it's awesome that this book talks about it. Depending on the country and state regulation, it can play a big role in where you can put your tiny home. In today's society, starting a nonprofit organization is a very noble thing to do. 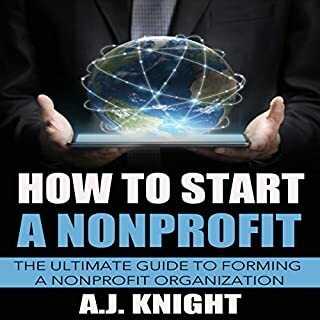 Many people have the desire to start a nonprofit but lack the necessary information to do so. Starting off on the wrong foot could cause much frustration in the future not to mention the potential legal issues that you may run into if you do not mind the small details. Having the correct information can mean the difference between long-term failure and success for your NPO. Where does How to Start a Nonprofit rank among all the audiobooks you’ve listened to so far? 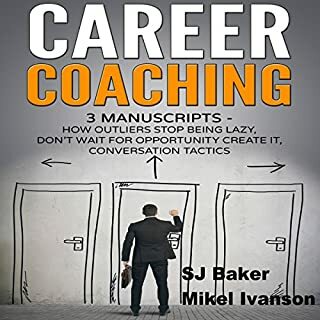 Regarding starting a non-for-profit businesses, I would say this is the best audiobook out there for this topic. If you've ever wanted to start a business about giving back, then look no further than this audiobook. I like how it talks about the benefit of start a non for profit business and also makes you aware of the government protocols. Taxes can especially be challenging but this audiobook briefly talks about that. RV living is becoming more and more popular these days and, with the economy slashing our backs with living expenses, it's becoming one of the smartest choices. Not only do you live free and independent, but you get to choose where you live! And it doesn't have to be in one place either, that's the benefit of RV & motorhome living. In this in-depth guide to the art of living in a motorhome, you will find everything you need to know. 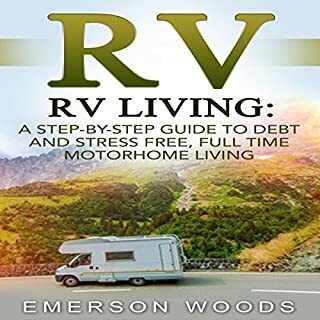 This audiobook tries to make sure you're living in a RV is as simple and stress less as possible. I really like the fact that it talks about financial management and how expenses can play a key role when you're traveling or living in an RV. I will remember the organization and the systems in place you have to get in order to be stress free and predictable during your trip. 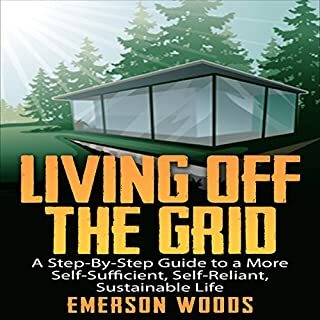 I highly recommend this audiobook if you're wanting to purchase and use an RV for whatever reason. Good audiobook but I wish there was just more content! Useful nonetheless. Solar energy is something that most people don't have at their household. Now that our electricity bill is so high, we wanted to improve our living situation by going solar. I went ahead and got this audiobook for this specific reason and I learned a lot! If you could sum up Amazon Echo Dot in three words, what would they be? Have you listened to any of Kevin Theis’s other performances before? How does this one compare? I love Alexa and it's really amazing how far our technology has come. We all can have a personal assistant now! 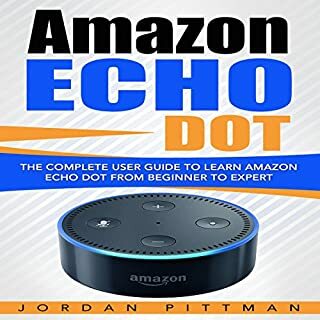 Great guide for an old guy like me and I would recommend this to anyone wanting to get the most out of their echo dot.